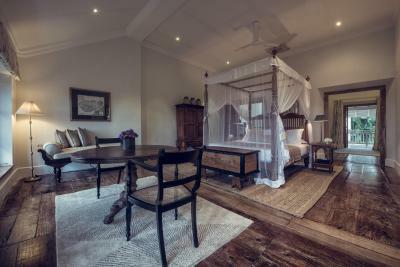 Lock in a great price for Taru Villas - Rampart Street – rated 9.3 by recent guests! 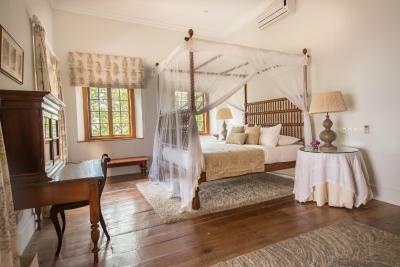 This boutique hotel is set in an old Dutch house which has been lovingly and beautifully restored by it’s owner. 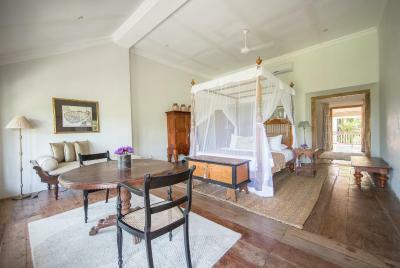 We spent one night here and we happened to be the only guests, we literally had the whole place to ourselves (usually it’s always fully booked). 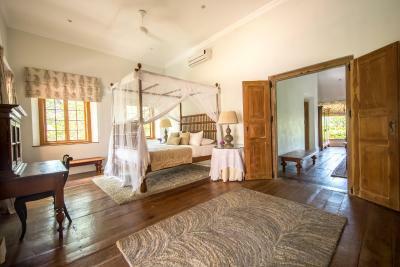 We had travelled for 14 days in Sri Lanka and stayed in quite a few boutique hotels and this was by far the best place we stayed in. 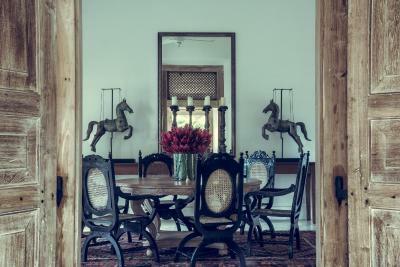 The service, the rooms (the butler showed us all of them) and the food was faultless. 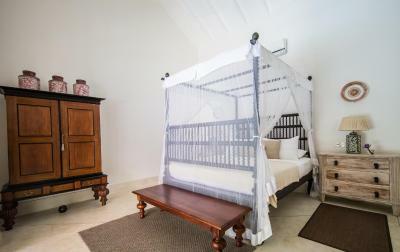 The owner has really thought about all the small details; natural insect repellent are part of the toiletries available in the rooms, a turn down service where they light essential oils wading off any bugs but also leaving a lovely aroma and as phones aren’t in keeping with the decor, there are cute butler bells placed in the common areas. 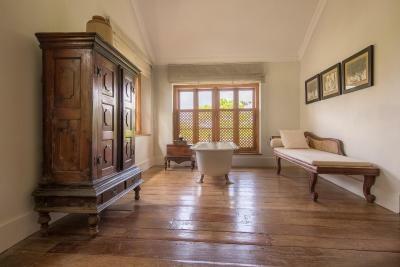 I would happily come back here and highly recommend it to anyone wanting to spend a few nights in Galle. Location was perfect to see Galle. It is a beautifully decorated restored building. It was like a home away from home.Very good and professional staff. We loved the sea view room we had. One night, we had dinner in the hotel, which was very good.Breakfast was excellent. 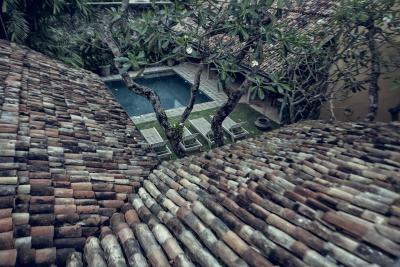 There is also a small pool in the garden. They recommended us an excellent Tourguide to show us around Galle. We certainly recommend this villa. 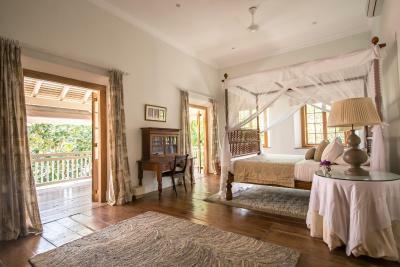 We also stayed in the Taru Rock Villa in Bentota. 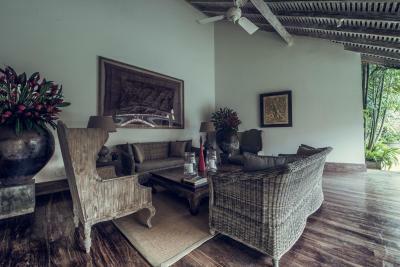 This was also a fantastic Villa.Really nice location and service. I think, that the Taru concept will be appreciated by a lot of people. The hotel was exquisite in every respect - the staff were just fabulous - the food fabulous. We can only give it superlatives nothing less. 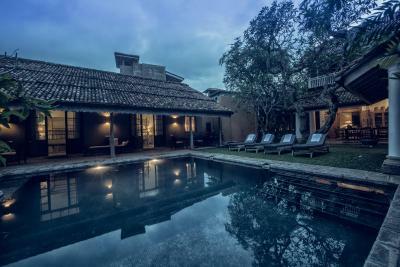 Beautiful 4 bedroom heritage villa. 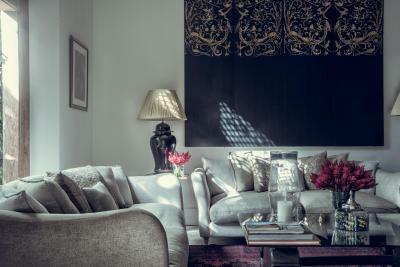 Attention to detail with furnishings was outstanding. Our room (sea view) was enormous with the biggest bathroom I have ever had. The staff were very friendly and could not do more to help us. The meals were 5 star standard. 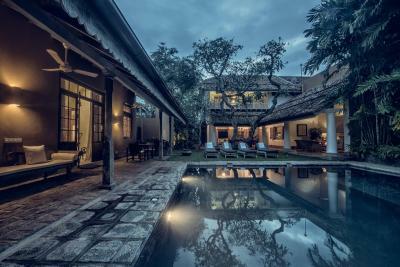 This is the place to stay if you’re heading to Galle Fort. 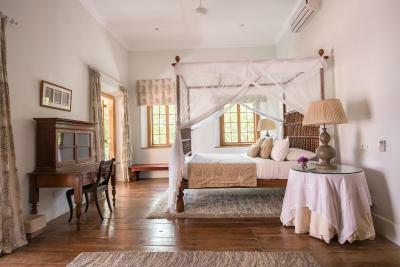 It’s a boutique hotel with 4 rooms in an old Dutch home. 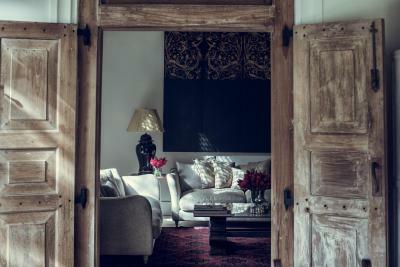 It’s beautifully styled and feels more like a friend’s home than a boutique hotel. The staff were all very helpful and accommodating and the food was one of the highlights of the trip. Thanks to all for a great holiday! The people that work in the hotel are super nice, the room and the hotel are always clean, the breakfast and the food at the dinner was amazing (and too much). The hotel is beautiful with the pool always good to swim. I absolutely recommend! 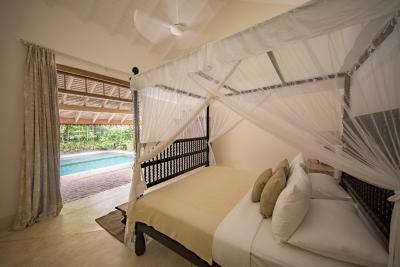 The villa is decorated with a lot of style and the rooms are very comfortable (king size bed, big bathroom and shower). 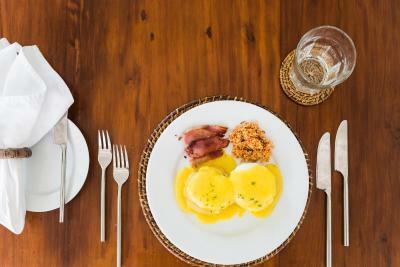 The breakfast was amazing, notably the Benedictine eggs!. The staff is very attentive and competent. A nice luxury hotel ! Taru Villas - Rampart Street This rating is a reflection of how the property compares to the industry standard when it comes to price, facilities and services available. It's based on a self-evaluation by the property. Use this rating to help choose your stay! 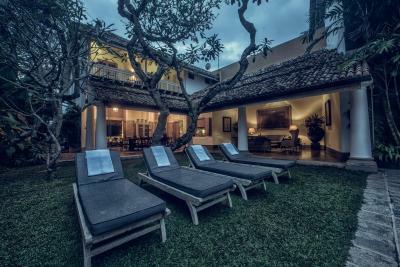 One of our top picks in Galle.Located in Galle, 650 feet from Dutch Church Galle, Taru Villas - Rampart Street has an outdoor swimming pool and rooms with free WiFi access. 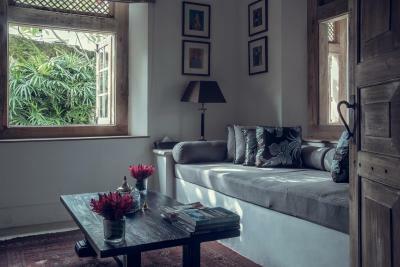 This Boutique Hotel offers a 24-hour front desk and a shared lounge. 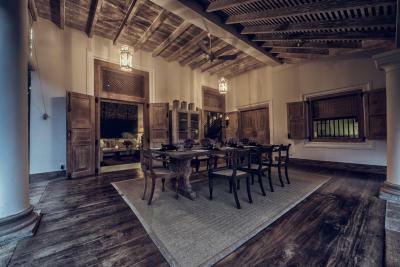 The property has a restaurant and Galle Fort is a 4-minute walk away. At the hotel, rooms include a desk. 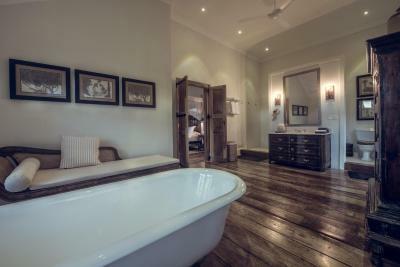 Every room has a private bathroom with a shower and free toiletries. 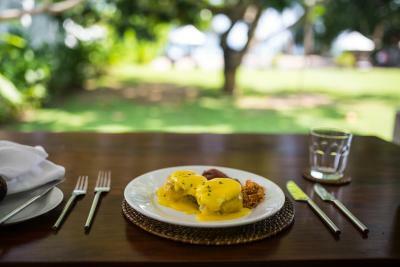 Guests at Taru Villas - Rampart Street can enjoy a continental, English Breakfast or an à la carte breakfast. 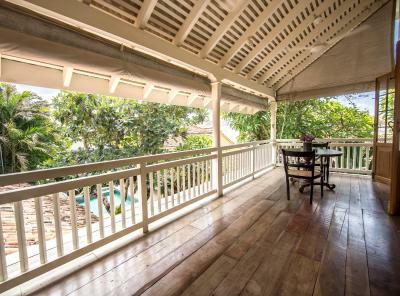 Taru Villas - Rampart Street offers a terrace. 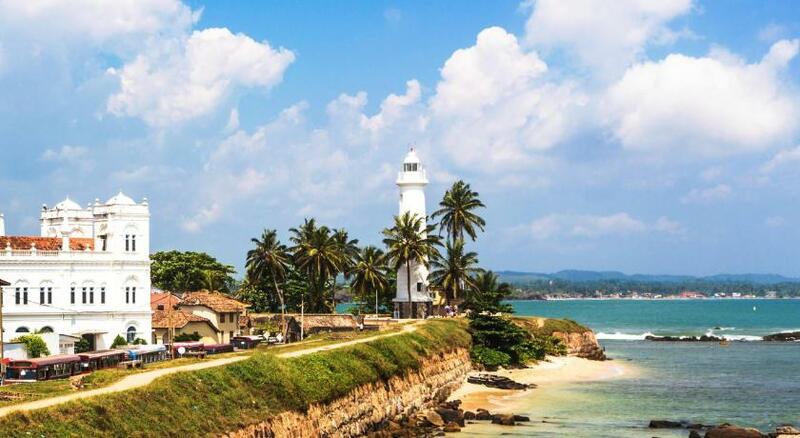 Galle International Cricket Stadium is 1,650 feet from the hotel, while Galle Light house is 1,950 feet away. 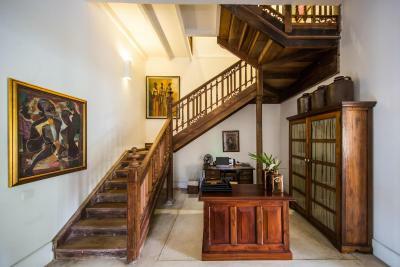 This property also has one of the top-rated locations in Galle! Guests are happier about it compared to other properties in the area. 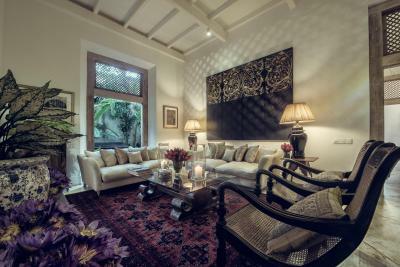 When would you like to stay at Taru Villas - Rampart Street? 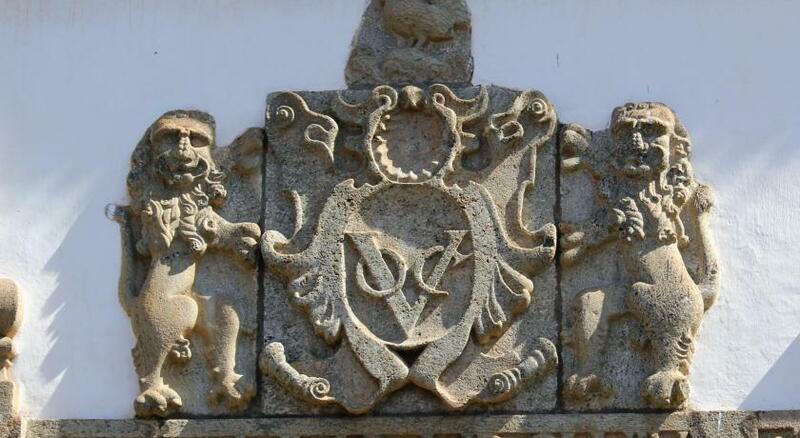 A blend of architectural styles can be found throughout Galle old town’s churches, elaborate mansions, and old fort buildings. 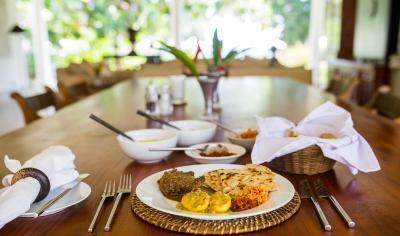 Stop by a restaurant to try some Sri Lankan curry or freshly caught seafood. House Rules Taru Villas - Rampart Street takes special requests – add in the next step! Taru Villas - Rampart Street accepts these cards and reserves the right to temporarily hold an amount prior to arrival. Please inform Taru Villas - Rampart Street of your expected arrival time in advance. You can use the Special Requests box when booking, or contact the property directly using the contact details in your confirmation. 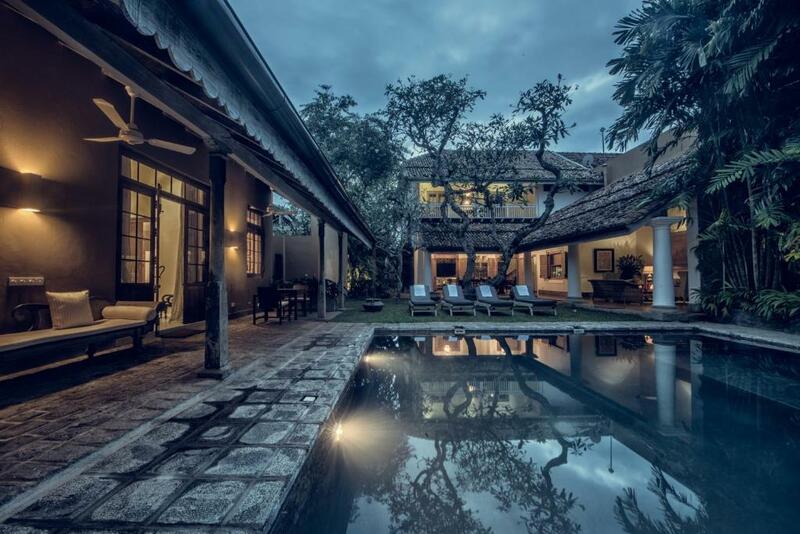 One of the most picturesque neighborhoods in Galle! Everything was great. The only small complaint is that they charge you ($10) if you use the flip flops which they place in the room. With the price point of this hotel they should be free. The lighting in the bedroom is very poor - but that is the only criticism we have. Also there is no minibar in the room but the staff more than make up for that. They are so incredibly attentive all the time. We literarelly stayed awake the whole night because of the mosquitos. We have killed more than 30 of them in the tent and don’t know how many inside of room. It was crazy. The staff light up some medical and left seemed didn’t care. Hotel staff were not greeting us in the morning and not smiling at all. Even when we checking out, one of the staff use the finger to point the bill to me without saying anything, it was really rude. We left the hotel without any services and seeing off, not a word of goodbye. 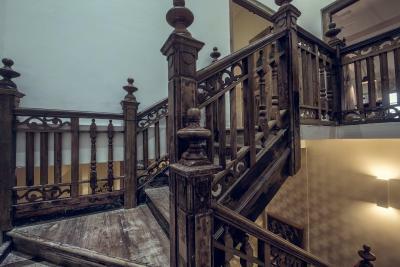 Just keep in mind the upstairs rooms has a separate bathroom on the balcony outside, so beware of mosquitos whilst moving between the two & whilst showering. Attention to detail and excellent staff who were able to offer all we needed. Great place. Nothing. 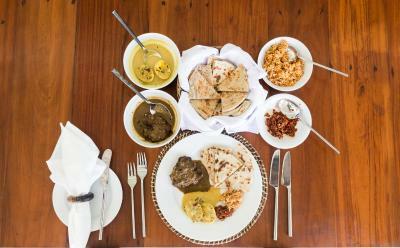 It’s pricey for Sri Lanka but is a very sophisticated offering. Good location, marvelous service, and the best guest experience. 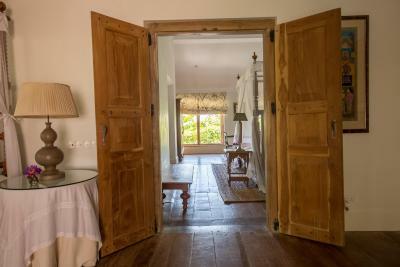 The hotel did very well in details such as they would provide refreshing juice and towels before entering the room, they would prepare towels after swimming and the aircon is on before we go into the room. Highly recommended.